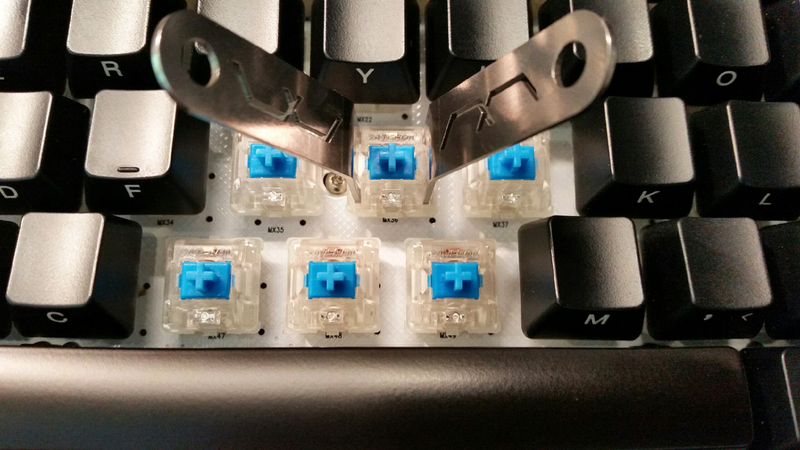 Easily remove the switch top of MX type switches mounted to a PCB board. Will not work with factory plate mounted switches on OEM keyboards such as Ducky, Deck, Vortex, etc., as there is no clearance on either side of the switch to allow for removal. Works, but a real pain to keep in place. Looking for something better. This tool fits Cherry and Gatetron but not Kailh but, looks like it needs to be sharpened to prevent its tips from slipping out. I've seen a video of this tool working so I don't know why it's not working for me. So after purchasing I found out that these do not work unless the switches are mounted to a PCB. I'm sure they'll come in handy in the near future when I lube my switches when the're already in the board, but as of now for unmounted switches, they do not work well. It is very useful and comfortable. These are a must-have for anyone planning to mod a lot of switches. I highly recommend them. After personally using these switch top removal tools to open over 1500 switches, they are still in a like-new condition. They work very well for opening Cherry switches. They don't work the same for Gateron switches, but they still work pretty well. If you do 500 in a day your fingers will still be hurting. But not anywhere near as bad as if you try to jerry-rig a paper clip. And then you have to worry about scratching and damaging your switch housings. Save your fingers the pain and buy yourself a pair. I bought these after I saw a video where they were used and I figured that it would come in handy when it came time to do some maintenance on a switch. I've also gotten curious about modifying switches. I could see how it would be a huge hassle trying to take off the top of the switch without this little tool. It's a great fit on both Cherry and Gateron. Seems like the Gateron switches aren't quite as solid as a build so I found they separate easier. However, the only switches I've opened have been on loose switches. I'll need to open up a few PCB mounted switches when I find some LEDs. I got a kick out of the MK.com logo cut through the tool. Same feedback as others on the chain length -- you'll want to remove it in order to use the tool. But the tool is fantastic and helped me make quick work of opening up ~50 switches. If you have a mod in mind that requires opening more than just a handful of switches, this is absolutely something you'll want. Holy smokes, these are so much easier to use than tweezers and there's no risk of scratching the switches. I'm not the most dexterous person around, and yet I have no problem holding the switch in one hand and these two in another hand to open up a switch. Works great on Cherry MX, works but doesn't fit as well on Gateron, doesn't work on Kailh. Chain is too short when using the tool. If it's an inch longer it'll be perfect. This came in Monday and I've opened a total of 200 switches. Two issues I've had its that the supplied chain is short. It's great to store the tools and not have then separate in your tool box though and easily unlinked when you want to use it. Second is that the tools are probably too smooth. I've had myself fumble a few times with the tools sliding from my fingers. That being said these ads minor shortcomings that are typically user preference. These tools fill a void that the mech community had for a long time. The picture makes these tools look kind of unfinished and rough but the actual product is very polished and has relatively rounded edges. 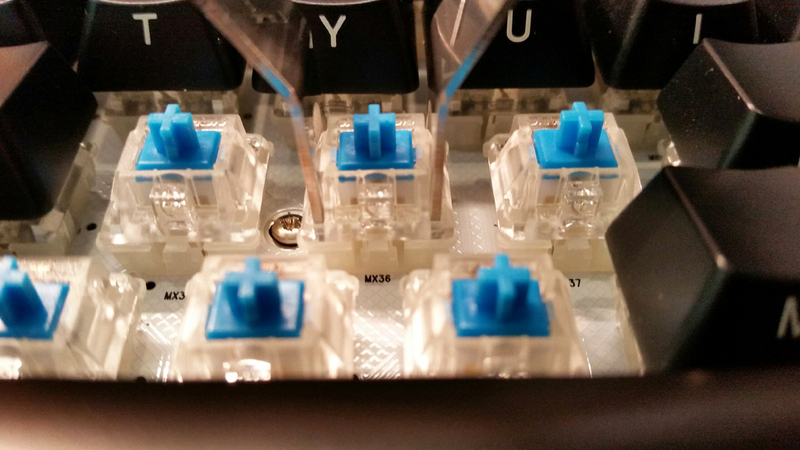 They fit right into the slots on the top of an MX switch and make opening a bunch of switches very very easy. They work well on both unmounted switches and switches installed on a plate that allows for switch top removal. Highly recommended!